5Rhythms is a movement meditation practice devised by Gabrielle Roth in the late 1970s. It draws from indigenous and world traditions using tenets of shamanistic, ecstatic, mystical and eastern philosophy. It also draws from Gestalt therapy, the human potential movement and transpersonal psychology. Fundamental to the practice is the idea that everything is energy, and moves in waves, patterns and rhythms. Roth describes the practice as a soul journey, and says that by moving the body, releasing the heart, and freeing the mind, one can connect to the essence of the soul, the source of inspiration in which an individual has unlimited possibility and potential.  The practice of the five rhythms is said by Gabrielle Roth to put the body in motion in order to still the mind. The five rhythms (in order) are flowing, staccato, chaos, lyrical, and stillness. The five rhythms, when danced in sequence, are known as a "Wave." A typical Wave takes about an hour to dance. The work is taught through a series of maps that explore the terrain of the inner and outer worlds of individuals, their relationships to others and the space around them. The maps offer a soul journey by exploring embodiment, emotions, the life cycle, the psyche, and the archetypes. The rhythms offer understanding of people's innate powers – being, loving, knowing, seeing and healing. The first map, "Waves" teaches embodiment of the five distinct rhythms. To embody the rhythms means to access the deep internal wisdom that human bodies contain. The "Heartbeat" map teaches how people have embodied and how they express the emotions of fear, anger, sadness, joy and compassion; while the "Cycles" map provides insight and understanding about how one has internalized conditioning and relationships throughout the life cycle, specifically in the stages of birth, childhood, puberty, maturity and death. Insight and understanding of the ego is delivered through the psyche map, "Mirrors". While the practice is transformative and can be therapeutic, Gabrielle Roth does not describe 5Rhythms as a form of dance therapy. However, many therapists have obtained a 5Rhythms certification to support their therapeutic practice.